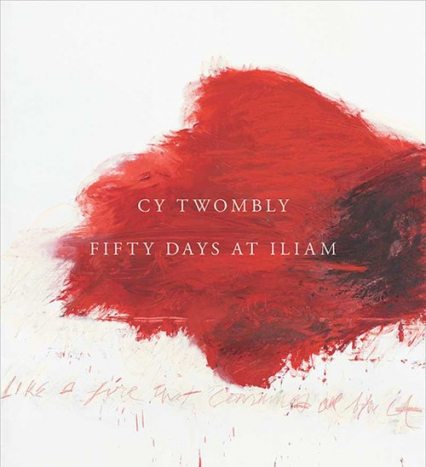 This revelatory publication provides a comprehensive and multifaceted account of Cy Twombly's masterpiece Fifty Days at Iliam (1978), a series of ten paintings based on Alexander Pope's 18th-century translation of Homer's Iliad. Essays by a team of both art historians and scholars of Greco-Roman studies explore topics including the paintings' literary and cultural references to antiquity and Twombly's broader engagement with the theme of the Trojan War, which first appeared in his work in the early 1960s and was a subject to which he would return throughout his career. Firsthand accounts of the artist at work complement the essays. Images of the canvases and related drawings and sculptures are joined by previously unpublished photographs showing Fifty Days at Iliam in the artist's studio at the time of their completion.